Somi Somi is aiming to go organic. 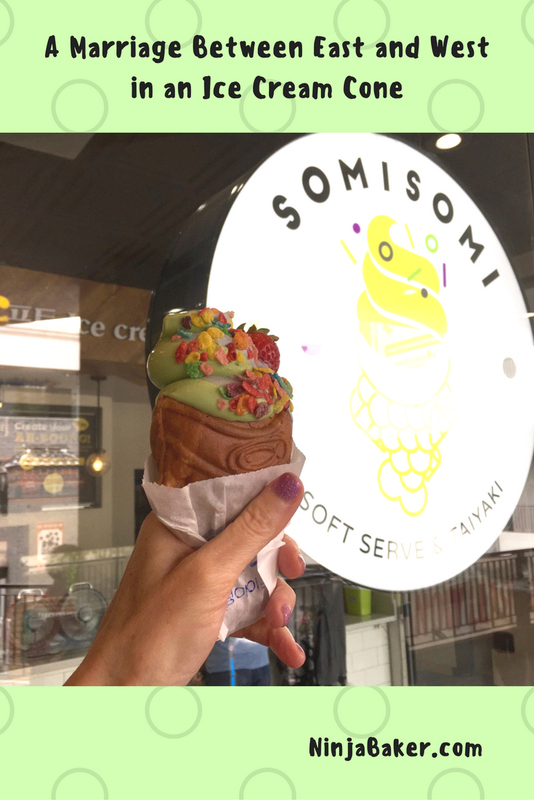 Organic or not, Somi Somi is an ice cream shop not to be missed. (Unless you have serious food sensitivities.) 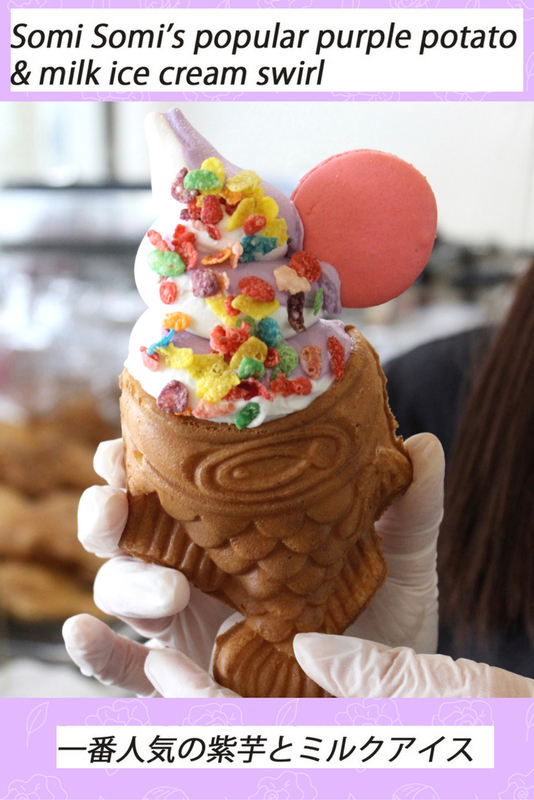 Flavors familiar to the Japanese and Korean palate are swirled into a pancake cone! 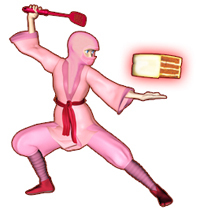 Specifically a taiyaki; a fish shaped shell. 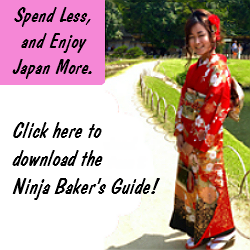 Traditionally, taiyaki is filled with red bean paste in both Japan and Korea. 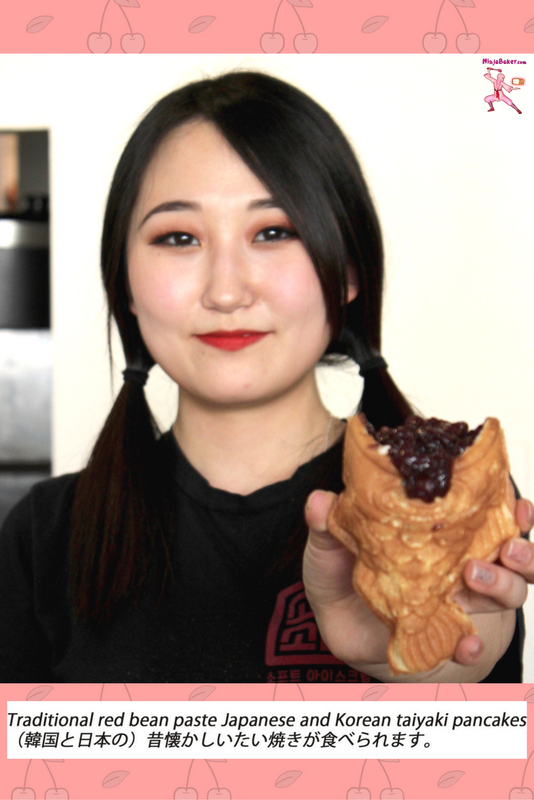 Somi Somi offers the traditional take on taiyaki. Swooning for Somi Somi’s matcha, purple potato, sesame and milk ice cream, I didn’t miss the red bean paste. Plus, the ice cream topping choices include French macarons, American Fruity Pebble cereal and crushed Oreos. Somi Somi is located in Korea Town. The shop has been open less than a year. Word-of-mouth and magazines has already made the shop a crowd favorite. If you visit, I think you’ll see why. If you delight in Korean and Japanese, I invite you to try my Bee-Bim-Bop Sushi Rolls. Wishing you worlds of fun at the dinner and dessert tables!